Cowslips Art print featured on the July 2014 issue of ‘Ideal Home’ magazine. Lovely understated beauty this delicate little yellow flowering plant used to grow wild and freely all over the countryside, but not so much now. This print features a pale yellow flower and a pale muted green stem.Each digital art print is printed onto high quality 350gsm paper and signed by the artist Jo.The art print measures 420mm x 297mm (A3) which will come to you flat in a hardback postal envelope. 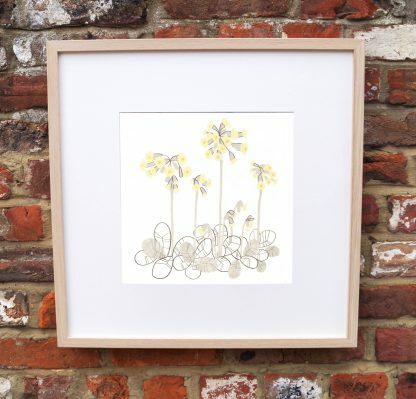 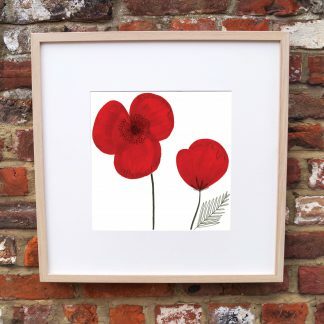 All art prints fit perfectly into the largeIKEA Ribba square style frames.Interested in a commissioned piece of your very own pet or flower or perhaps branding for your business? Then just get in touch Jo is always thrilled to have an excuse to get drawing!